Product prices and availability are accurate as of 2019-04-18 08:39:49 EDT and are subject to change. Any price and availability information displayed on http://www.amazon.com/ at the time of purchase will apply to the purchase of this product. 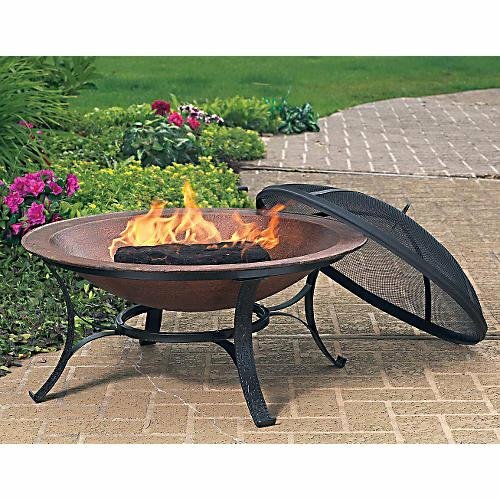 Add a hint of sophistication to your garden with the CobraCo Round Fire Bowl with Screen and Cover. This cast iron bowl has a copper finish, for an elegant look. Four black metal legs feature embossed scrolls for added detailing, and they curve gently outward for a delicate feel. The sturdy black base and mesh screen complete the piece. The 29.9" diameter bowl is perfect for large or small gatherings, and the copper colored finish is perfect for any surrounding. 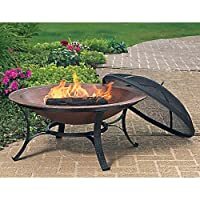 Use the included vinyl cover to protect your fire bowl when storing.